Back in December, a friend asked me to sign up to a book challenge with her. I wasn’t psyched at first. I chafed against being told what to do or what to read (haha, it's childish, I know). But the notion somehow got stuck in my craw and one random day, mid-January, I did a complete 180. I’m still not sure exactly what warmed me to the idea. Maybe I remembered how voracious I used to be about books, before the days long-form articles and news tweets took over my life. Maybe I realised I barely read anything (not long-form article or news tweet) in 2016. Maybe I saw someone’s bookshelf and suddenly yearned to create a bookshelf of my own - to flip through pages, to feel that heft, to press my nose in the binder and breathe in that new book smell. Anyway, I said yes and got added to the challenge (which is really a rehash of some 2016 challenge she found) and dutifully filled in books for each one. I’m now halfway through 2017 and also halfway through the books on this list (all according to schedule!). 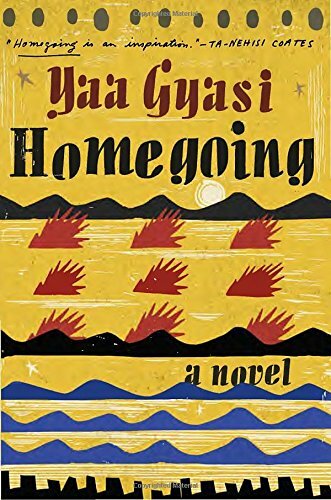 Homegoing was published in January 2017, which means this is probably the “freshest” book I’ve ever read ever. The book is almost like a heavily connected short story collection. It follows the families that branch out of two sisters in Ghana in the 18th century, one who “marries” a British colonial slaver, and the other who is captured as a slave and sent to the United States. The book uses the subsequent generations - one bloodline navigating through the political changes of Ghana, one bloodline surviving in slavery-then Jim Crow-then post-racial racism of the United States - to showcase over a dozen snapshots of Black Life throughout the ages. It was gorgeous and moving, and each piece of the puzzle felt like it could’ve been its own book. It strikes an incredible balance between an unflinching look at the evil and inhumanity of the slave trade (and life after), while going beyond blame to find characters struggling with their own role in it. It feels like the kind of book you should give someone who argues “well, the Africans traded their own (so that makes what white people did okay)”… except if anyone argued that, they probably wouldn’t read any book you’d give them. In any case, I highly recommend this. It was heartbreaking, but easy to digest. Packed with so much information, but never a slog. 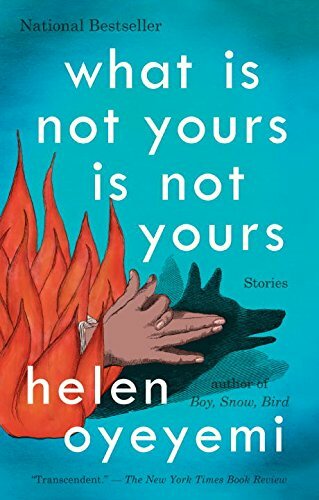 Since I’m generally a pretty fast reader, I ended up interpreting this as “short stories,” and the short story collection I chose was Helen Oyeyemi’s What is Yours is Not Yours. I didn’t really know much about it going into it, except that it was supposedly “diverse.” Friends, that seriously understates what this book is. Because yes, most of the key characters are women, and yes, several of the key characters are LGBT, and yes, they are black and East Asian and Russian and a bunch of different backgrounds besides (Welsh? Maybe?). But all of that is secondary to the playful writing and fantastical plotlines that weave all these stories together. There’s secret gardens in Spain and houses full of locks and a philosophical school of puppetry… and also, unconnected and out of nowhere, a charming story about a women’s club in Cambridge trading books with a men’s club in Cambridge. What you get is a dizzying blend of ideas and talent. If you enjoy off kilter characters and fantasy situated in the real world, this is going to go down aces. I don’t actually have a library membership here in China. And while I’d be intensely curious to see what a Chinese librarian would recommend, I suppose I’ll save that adventure for another year. 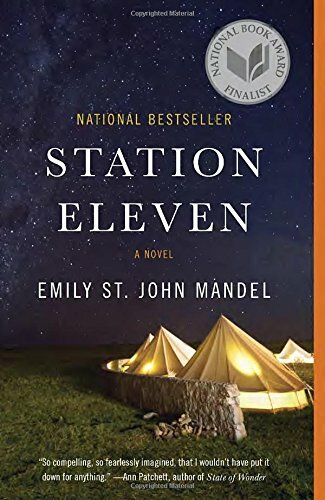 Instead, I picked up a book that was recommended by several people in a Facebook book group I frequent: Station Eleven. It’s been several months since I’ve finished this book, but I’m still trying to figure out what I think about it. The plot is interwoven between several loosely connected lives before and after an outbreak-led apocalypse. It’s kind of like the Walking Dead, if the Walking Dead deleted all the scenes with zombies. There is a lot of introspection, a lot of exploration on the meaning of our modern world objects when there’s no one left to operate them, a lot of amusing juxtaposition of the lives pre-apocalypse and being rebuilt post-apocalypse. And I enjoyed all that. But for every storyline that I felt paid off (Miranda’s in particular was equal parts touching and profound to me), there were several that seemed to just run out of steam (Jeevan, who starts out the story, barely seems connected afterwards). It was still great fun to read, but I found myself wanting more... in a "this seems incomplete" way.